Let loose moorings for a happy boat trip, an unforgettable experience for a wonderful journey. 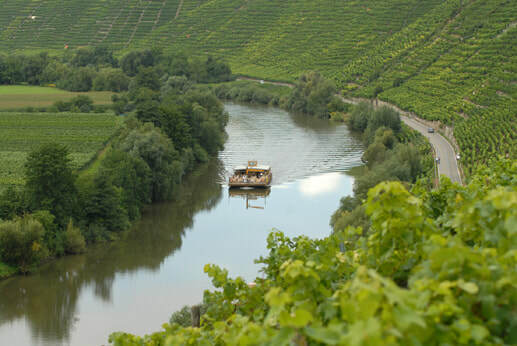 With three comfortable boats for 100 and 400 passengers and the boat for parties, along the picturesque park of vineyards on the banks of Neckar, Boats make round trips to Marbach, Vesigheim and Hessingheim. There are also romantic trips and fun excursions with a party. Boats can also be chartered out of regular lines for private groups. The boat trip is very pleasant, enjoy the views of the vineyards mixed with the city and its architecture. The ship also offers restaurant service on board.